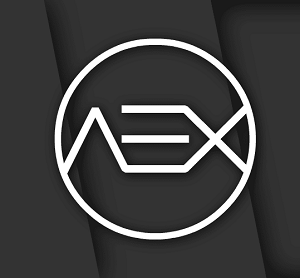 AospExtended v5.7 Android 8.1 Oreo ROM for OnePlus 3/3T is now available Officially. 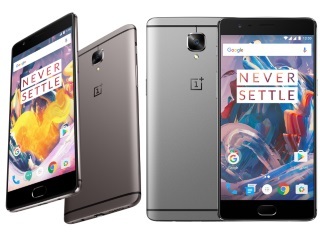 OnePlus 3 Android smartphones were launched in June 2016. The phone comes with a 5.50-inch full HD display with a screen resolution of 1080×1920 pixels. The OnePlus 3 is powered by 1.6GHz quad-core Qualcomm Snapdragon 820 processor with 6GB of RAM & 64GB of internal storage that cannot be expanded. As far as the cameras are concerned, the OnePlus 3 packs a 16-megapixel primary camera on the rear and a 8-megapixel front facing camera. In this article, we will guide you how to install AOSP Extended (Android 8.1 Oreo) on OnePlus 3/3T. Before you even get to the download links or installation instructions, let us talk a bit more about AospExtended v5.7 and how it stands out among others. Google has already released the source code of the Android 8.1. If you like custom Android ROMs for your OnePlus 3/3T, then you’ve heard some custom firmware like lineage, Nitrogen OS, Omni Rom, MIUI, Ressurection Remix, AICP etc. A major factor that makes a custom ROM “Best”, is its ability to provide something unique to the users. AOSP Extended OS is the latest custom ROM OS built by enthusiast and now the ROM is been developed for many Android smartphones out there. This Aosp Extended v5.7 ROM for OnePlus 3/3T is the best Custom Android 8.1.0 ROM for your device with the best stability and performance. It provides Stock UI / UX with various customization features along with substream theme engine. This project has been done by various works of Cherry-picking from various other projects. Due to being based on AOSP, it provides a smooth and lag-free experience outside the box. We will constantly try to add more features and improve it in future updates. This new Aosp Extended v5.7 ROM for OnePlus 3/3T comes with many Android Oreo features and may contain some bugs. AospExtended OS v5.7 can installed via Custom Recovery like TWRP, so you need to install TWRP recovery on your OnePlus 3/3T to use this custom ROM. If you already installed recovery then let’s begin with the tutorial. All the credits for this ROM are given to its Whole developer team of Aosp. Installing a custom AOSPExtended v5.7 ROM on your OnePlus 3/3T Smartphone requires the bootloader to be unlocked on this mobile phone, which may VOID your warranty and may delete all your data. Before proceeding further you may consider backup all data on the phone. You are the only person doing changes to your phone and I am not responsible for bricked devices, dead SD-Cards. This AospExtended ROM has to be installed on the OnePlus 3/3T model only; if tried on any other devices, it might get bricked [To check your device model: Go to Settings >> About phone >> model number]. Unlock Bootloader of OnePlus 3/3T. Make sure that your OnePlus 3/3T has at least 50-60% of charging to prevent accidental shutdown. Download the below AospExtende OS for OnePlus 3/3T. Now, you can install AospExtende v5.7 Os on your OnePlus 3/3T smartphone. This guide is written carefully detailing all necessary the steps and by following it you agree that you understand these risks. That’s it! This is the complete guide to Download and Install AospExtended Oreo 8.1 on OnePlus 3/3T. I hope you have installed the Aosp successfully. If you have any questions, you can leave them down below in the comments. Don’t forget to share this on Facebook, Google Plus & Twitter! It will only take a moment and also it is quite easy and helpful for others. Thank you!.